And it's not just running shoes. I have a pair of Vans that I've worn for almost four years, and the heels are just about ripped all the way through. 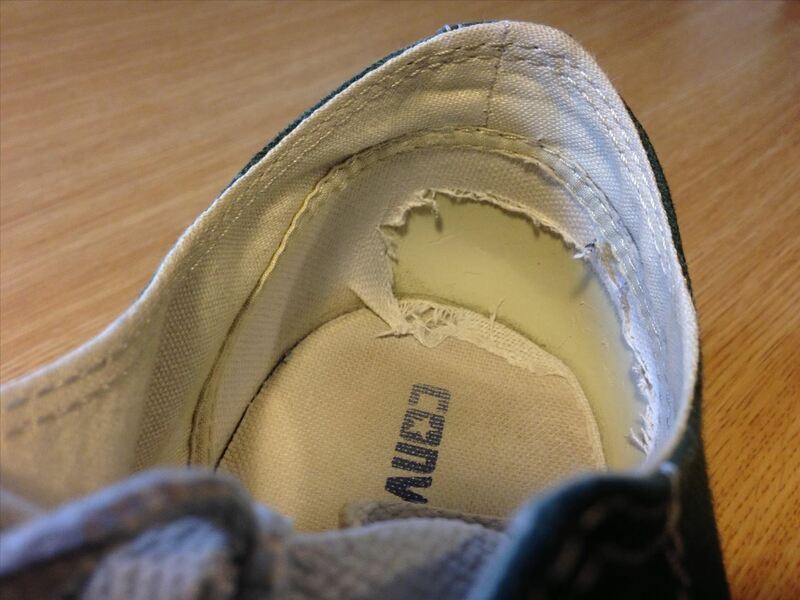 Converse All Stars are also particularly bad for this since they're made of such thin canvas. Not only does it look awful, it actually makes them painful to wear because the rough material rubs your feet. I always thought shoes like this were a lost cause unless I had them repaired professionally, which usually costs more than they're even worth. Then, I stumbled onto a clever DIY repair using denim. It never occurred to me that I could just cover up the holes with another piece of material, as obvious as it seems. 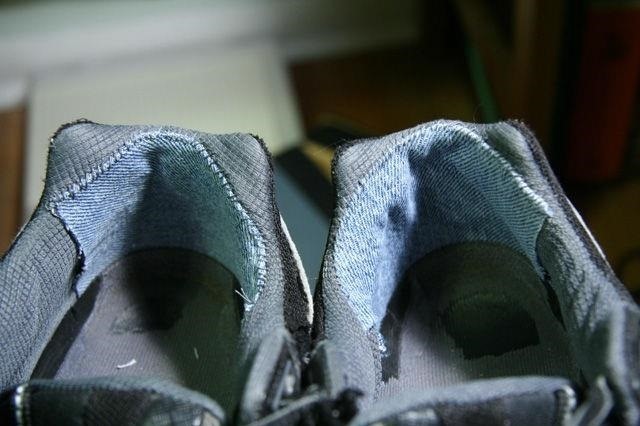 Turns out, there are actually a few different DIY methods for salvaging shoes with damaged lining. Which method you choose will depend on how much work you want to put in and how long you need it to last. The first method I mentioned above is pretty simple, but requires a little sewing. You'll need a needle and thread, some glue, and a patch of durable cloth. Instructables user neffk used denim, but you can use any type as long as it's strong, but not too thick. After you've cut the cloth to the right size, just glue it over the lining on the heel, then stitch over the top edge to make sure it stays. 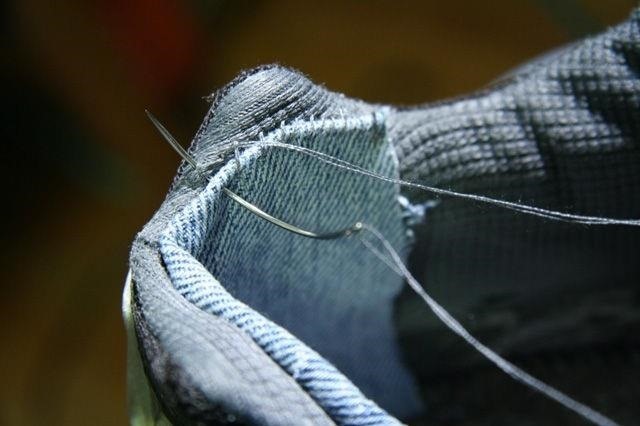 You could skip the sewing if you think the glue will hold it, or if you just need a temporary fix until you can buy a new pair. The result doesn't look too shabby, and when you're wearing them, no one will even be able to see it. You can cut out the extra steps above by using a self-adhesive material called Moleskin. It's made to put on your feet, but you can also line your shoes with it instead for a more permanent fix. You may have to replace it every now and then, but it's inexpensive and has the added bonus of adding just enough padding to make them more comfortable. 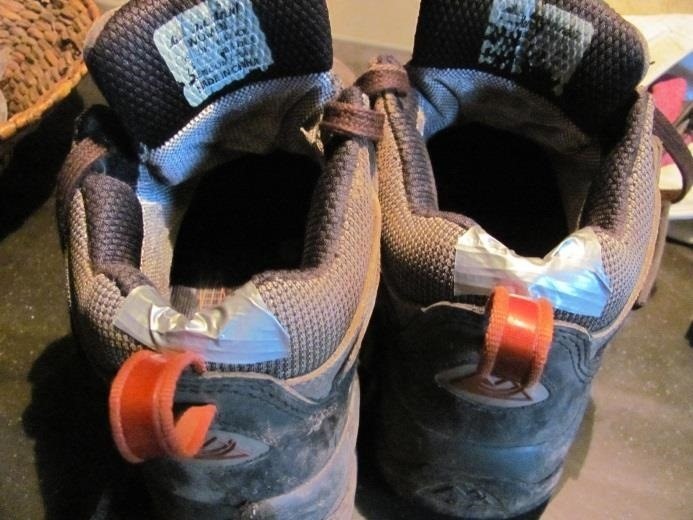 In a pinch, the easiest way to "fix" a shoe's lining is with duct tape. It's definitely not a permanent solution, but it's cheap, effective, and takes all of ten seconds. If it's going to be a while before you can get a new pair of shoes, you can just peel off the duct tape and replace it whenever it starts to wear out. What do you use to fix the insides of your worn shoes? l didn't think of, this! There are no fabric shops near me but I can go to a Super Cheap Clothing Store and buy . seriously cheap jeans just to cut up for the thin denim fabric ! Fantastic! 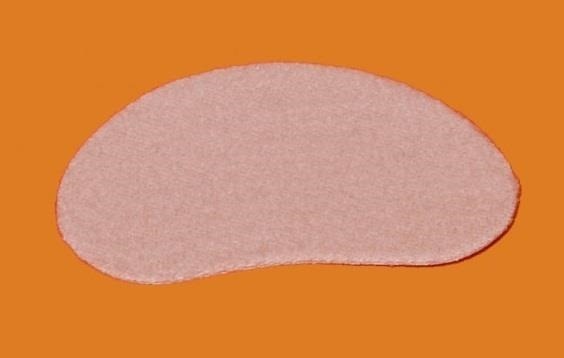 l was also thinking of using some cheap Under-Lay I happen to have lying around for padding -it seems to be pretty much the same material they use for Insoles on a lot of my shoes. Excellent advice for sneakers... But if you are talking about running shoes... If you get to the point that the heels are wearing then you really should replace them anyway. 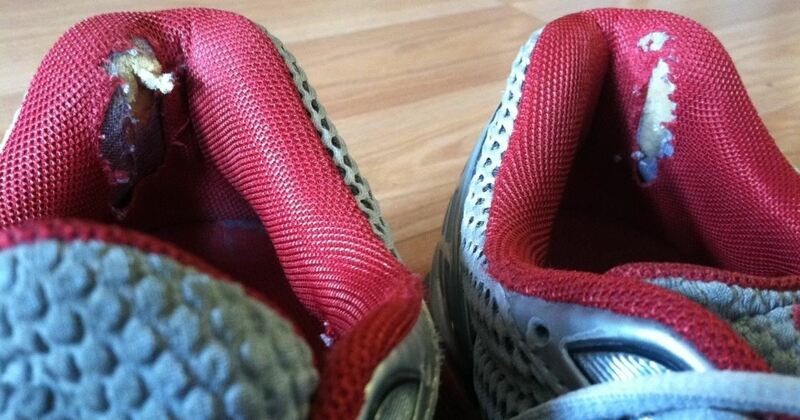 Running shoes will have become worn and may injure your feet if you continue to run on them. wonder if iron on patches might work? Also, make sure you are wearing the right size shoes. A size 7 may feel comfy, but you may learn later by a shoe store clerk measuring that you are a size 5. The bigger or smaller shoes you wear than you size, the more worn they get, because your feet are sliding around and you are constantly moving your feet around to either get loose or to get a grip! The shoe shop people will measure your feet free for you. X) I learned after years of wearing size 8 that I was a 6 1/2 wide. So now my shoes wear down a lot less over time. Still, I plan to go get some moleskines to fix some of my favorite old runners that have just all the heels worn through. 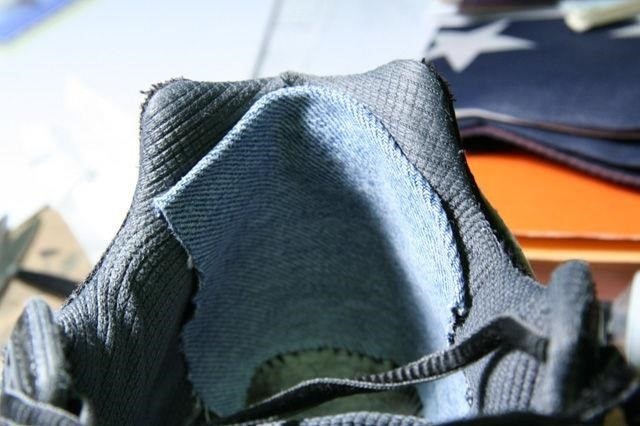 I wonder if you could use an iron on jean patch (the kind meant to repair rips in knees) but instead of an iron, use a heat gun and tilt the shoe so the heel/patch is facing up and just press down as you heat the patch. Might make quicker work of the job vs sewing. I've used an iron on patch. It works. I used a curling iron.